Travel writing is something I wish I had bitten the bullet and done decades ago! One of my ambitions, or shall we say intentions, when I retire is to do some themed travelling and write about it. 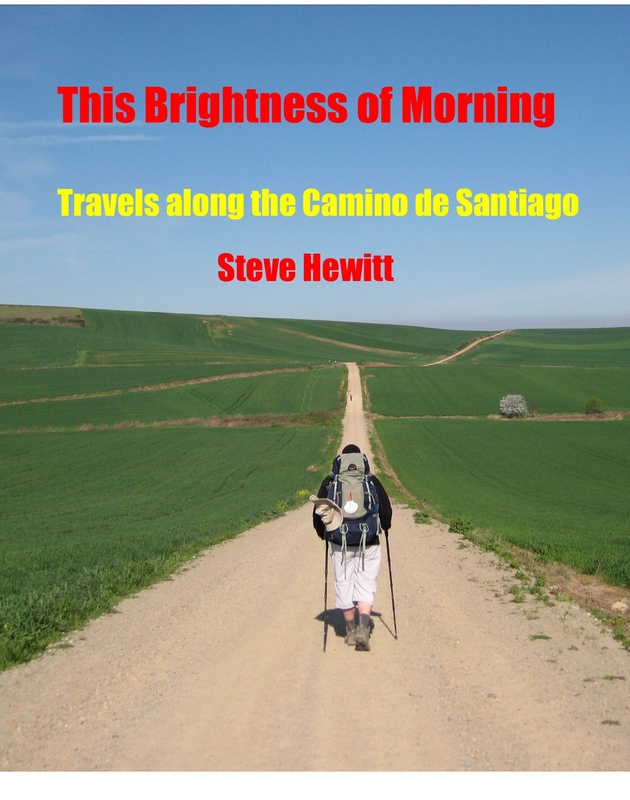 I already have an unpublished 64,000 word account of my pilgrimage to Santiago in 2011. Quite a few friends have read it, but I need to get better at writing. In view of this, I intend to read much more widely in the genre over the next little while, and wondered if anyone had any recommendations. I tend to eschew the “I bought a house in Tuscany/Provence and met some interesting people” type of book. Travellers need to go somewhere. The interest is in the journey. I probably align myself more readily with what I call the Lightweights. Typical of this category are the likes of Bryson, Tim Moore and Palin. I need to get better at comic writing if I want to head in that direction. The Heavies (Thesiger, Theroux, Thubron, Freya Starke &c.) I do enjoy them, but I’m not sure I’d want to imitate their style. My favourite is probably Eric Newby, who falls somewhere between the two. Steve, as one of the more educated and literary adept members of the forum, I'm sure you will make a good travel writer and your fondness for travel comes through in some of the posts you've made in the past about your holidays. I'm not an avid reader however I have read a few of Bill Bryson's books so agree he is an excellent writer. Slightly old now, but still excellent, are Laurie Lees’ autobiographical trilogy. In particular the 2nd and 3rd books about his travels in Spain. Also Bruce Chatwin and Jonathan Raban are both brilliant in my opinion. And the Granta travel writing anthologies are a good way of experiencing a broad range of authors in manageable chunks. My favorite travel writers are Bryson and Anthony Bourdain (he’s kind of a travel writer). The strength of both is that their personality comes out so clearly and consistently in their writing. My suggestion is rather than find some more authors to read, think about and try to identity your voice. What is it you want to say in your writing? That’s what will make it compelling. The Old Ways by Robert McFarlane is very well written and probably fits within a broad definition of travel writing. The most cerebral travel writing, better known as psycho-geography by some, is by Iain Sinclair. London Orbital, his account of walking around the M25, is a masterpiece. Not to everyone’ s taste perhaps but certainly one of the best written books I have read in the past twenty years. Interesting suggestions already. Thank you. Andrew: yes﻿, finding your own voice is essential, and I began to do that with my first effort, but writing in a genre inevitably invites c﻿omparisons. My aim at the moment is to broaden my knowledge of what is out there. Peter Moore has some good books - some of which are very funny. Mark Shand - less comical than above, but would still recommend. nburgess wrote: Peter Moore has some good books - some of which are very funny. I was going to add Peter Moore myself before noticing someone had beat me to it. His early books as a backpacking Australian (The wrong way home, Swahili for the broken Hearted and the full Montezuma) are the full on lighthearted adventurous books which are fascinating to read, not sure I’d have the nerve to travel like that though. His later ones about riding a Vespa round Italy are still excellent but less full of the adventure of his earlier books. I think Gavin Youngs 'Slow Boat to China' from 1981 is a classic of it's genre, albeit now representing the past of a much changed World. Slow Boats Home was pretty good as well. I enjoyed these books so much, they have travelled with me to Thailand. Not heavy to read but comfortably paced and wonderfully evocative. I also read 'return to the marshes' by the same author, but I didn't enjoy that so much. Interesting comment about the London Orbital above and it shows how a book can divide opinion, as I should have loved it, being a Londoner, but I hated it! How about checking out 'Duende' by Jason Webster, if you haven't already? It's about his experiences in Spain searching for the spirit of flamenco. I loved it but it got mixed reviews. Edit - for something completely different check out Mark Wallington's '500 mile walkies', about his walk around the SW Coastal path with his dog boogie! I bought it when it came out eons ago and thought it hilarious although it helped that I knew many of the landmarks he discusses and I calculate that over the years, I've completed more than 200 miles of the same path, north, west and south. I’ve read a few by H.W. Morton, and find them fascinating. And in the comic vein of course you have ‘Three men in a boat’. If that counts. Well done, guys. Some of these I know, others are new to me. Amor Vincit Omnia wrote: Well done, guys. Some of these I know, others are new to me. Travel books have never been my thing as simply I like to be surprised. The only exceptions have been, Bill Bryson’s Notes from a Small Island, and Bradshaw’s Railway Handbook of Great Britain and Ireland. Both books visit places which I’m very familiar with. However, I will make one more exception and that will be to read Steve’s book. Richard D wrote: However, I will make one more exception and that will be to read Steve’s book. PM me your email address and I will gladly send it, Wi-fi permitting, when I get to Greece. I have promised it to one or two people but I fell behind owing to work commitments. I'm bookmarking this thread so I can go back to compile a list of new authors to check out. Thanks for the post, Steve!